Wang said there are limited mountains in North Korea that are “suitable” to conduct a nuclear test and vertical tunnels could reduce the likelihood of the “top” of the mountain being blown off. However, horizontal tunnels are easier to build – but more likely to cause the mountain to implode with a bigger blast. 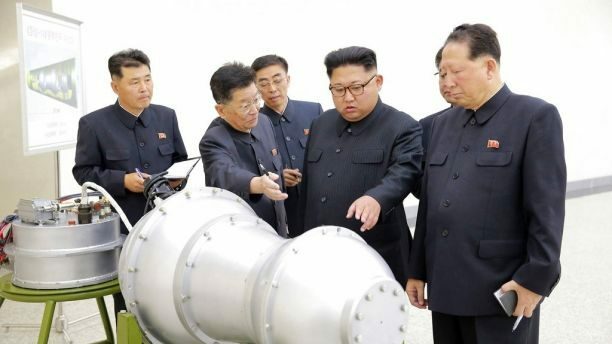 North Korea claimed it detonated a hydrogen bomb over the weekend, calling the test a “perfect success.” The test triggered an artificial magnitude 6.3 earthquake, the U.S. Geological Survey reported. A second tremor was detected minutes after the first, described as a cave-in or collapse by USGS and China’s earthquake administration. The test was estimated to have a yield of 100 kilotons, meaning a blast that was four to five times more powerful than the explosion in Nagasaki, Japan, in 1945, a South Korean defense official told the country’s Yonhap News Agency. The precise strength of the underground nuclear explosion has yet to be determined and experts are still working to confirm the nuclear device was in fact a hydrogen bomb. Despite Wang’s warning about radiation, readings conducted after the test on Sunday showed no change in the air sample near China’s border with North Korea, the South China Morning Post reported. The regime’s nuclear and missile program has made huge strides since Kim Jong Un took power in 2011 after his father’s death. It conducted its first intercontinental ballistic missile test in July following a series of missile launches earlier this year.